Now made with fresh Goat Milk! It’s part of our Drunken Goat Collection. You know it’s going to be a good day when it starts off with a fresh Mimosa…. sweet orange juice blended with dry, sparkling Champagne. 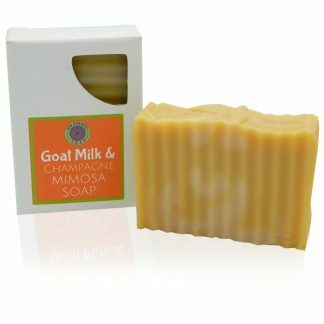 With our new Mimosa soap you can start every day this way. The aroma is captivating. In each batch of this popular soap we blend fresh, locally farmed Goat milk and a bottle of Champagne (French, of course!) followed by the finest Orange essential oil – cold pressed from the peels of Valencia oranges – and a dash of fragrance we call Champagne Sugar. 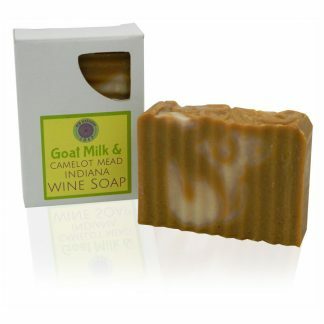 Our Goat Milk & Champagne Mimosa Soap Contains: Saponified Coconut, Sunflower and Palm Oils, Saponfied Shea Butter, Whole Goat Milk, Champagne, Stearic Acid, Valencia Orange Essential Oil, and fragrance.